WellJet is pleased to announce that it will join the Disi Water Conveyance Project – one of the world’s largest water supply operations. 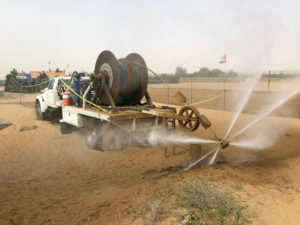 The Project consists of more than 50 wells, which will provide water via a 325-km pipeline from the Disi aquifer near Aqaba in southern Jordan, to the capitol city of Amman. The ambitious undertaking is intended to help address Amman’s current and future water needs. 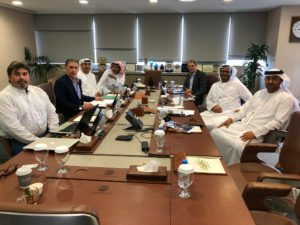 Partners include Gama Power Systems, GE Energy Financial Services, Diwaco and Jordan’s Ministry of Water and Irrigation. 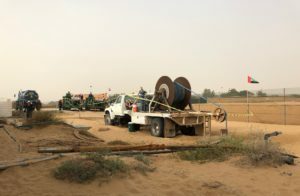 The wells themselves are being drilled and developed by Site Drilling Company. 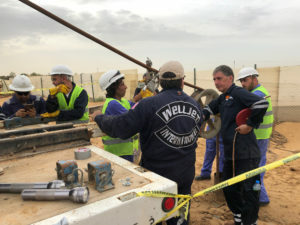 WellJet was recommended by Stuart A. Smith of Ground Water Science, the consulting hydrogeologist, and Scott Campbell, the drilling/technical consultant. WellJet, the revolutionary new process in water well development and rehabilitation invented by company founder Jeffrey B. Glass, utilizes highly pressurized water in a laminar flow – to remove obstructions from 100% of the perforated area, and penetrate deep into the gravel pack to break up the harmful deposits that are the true cause of inadequate performance. WellJet looks forward to collaborating with the Disi partners to help ensure the wells operate at peak efficiency and deliver the appropriate water flow in the most economical manner possible. WellJet will mobilize equipment and personnel to Jordan in the coming weeks.